Welcome to our Private Investigator Durham page. 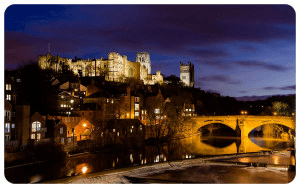 Our Private Investigation team are based in Durham. We serve the following areas across the North East; Bishop Auckland, Chester le Street, Consett, Darlington, Durham, Hartlepool, Gateshead, Middleton in Teesdale, Newcastle, Sunderland, Stockton-on-Tees, Washington. 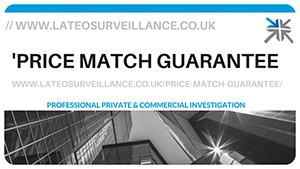 Private Investigator Durham offer a wide range of discreet leading services across the North East and UK. The search Private Investigator Durham has brought you to Lateo Surveillance Ltd. We are a leading Private Investigation and Commercial Surveillance Company serving our private clients throughout the North East and our commercial clients throughout the UK and internationally. Unlike our competition we are located in Durham! Lateo Surveillance have offices in Durham (Just off the A1 & A690) Belmont Business Park and Harrogate North Yorkshire see our contact page for more details. If you wish to come and speak with us, please get in touch and we can arrange a FREE, no pressure, consultation. All our Private Investigators are trained, qualified and experienced. We use professional grade equipment, see our technology page and all video footage obtained can be used as evidence in a court of law. 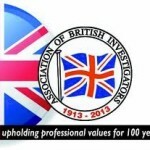 The UK Private Investigation industry is completely unregulated and unlicensed. Anyone can set up overnight as a Private Investigator, build a website and start trading. We are full members of the only professional investigation body endorsed by the Law Society of England & Wales. We are flexible, and can operate within your budget. A copy of the quote. Please provide the above information, once legitimacy is confirmed, we will price match! 100% guaranteed! ABI members are Interviewed and Vetted. Members conform to a strict code of ethics and professional conduct. 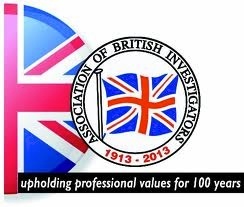 The ABI is the only Private Investigation organisation endorsed by the Law Society of England & Wales. Members CANNOT have a criminal record. 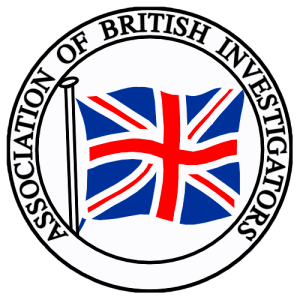 If an Investigator is not a member of the ABI, ask yourself why? Are you having issues with neighbours? Is your house situated in a place where teenage children gather and run amok? Small situations such as this can soon get out of hand and begin to negatively impact on your home life and relationships within the family. Your children no longer wish to go and play in the street. You are frightened to park the car in a certain place. Perhaps you have been in touch with the authorities but they have been unable to help and maybe their presence has made the situation worse. We have deployed our experts to help solve many issues such as this. We have fitted covert cameras to confirm anti social behaviour, intimidation and harassment and presented our findings to the authorities on your behalf thus removing as much of the stress as possible from you and your family. Our commercial investigation team are experienced, qualified investigators. We have investigated company director and employee fraud, including; theft, absenteeism, serious misconduct and more. Our commercial investigations are carried out strictly within the rules of the data protection act. We will guide you through the relatively simple process ensuring you stay the right side of the Law and avoid needles fines of damage to your reputation. Business owners or their management do not have to suffer at the hands of their employees, you can do something about it in a legal and ethical way. Business owners should see our commercial investigation page and read the following post, Can I covertly monitor my staff at work? Do you need to know where a company or personal vehicle has been throughout the day? How long were they were at various locations? How often have they visited? Is this a concern? Are you noticing disturbing patterns that could be affecting your business or personal life? Our covert tracking will give you the answers to enable you to make informed decisions about what to do next! Covert vehicle tracking is an excellent way of establishing the ‘pattern of life’ of a subject who you suspect is not being honest. Covert vehicle tracking can significantly reduce the cost of long term monitoring. Matrimonial investigations are not uncommon, we are discreet and will find the answers for you. It may be that nothing is amiss indeed we have confirmed that initial suspicions were incorrect, however it is better to know that this is the case rather than wonder what is going on, not knowing the truth can be a relationship killer in itself. We have identified infidelity carried out by both male and female partners and can help you with your relationship. Do you need to find an old friend, a member of the family, a long lost love or maybe a debtor? We offer a no find no fee option in the first instance so really you have nothing to lose by getting in touch with us for a chat. Please note; A valid reason must be given for a trace and your identity must be proven in order for us to progress with an investigation into someone’s whereabouts. Do you suspect you are being followed or watched? Does someone know more than they should regarding your whereabouts? Do you wish to confirm you are under surveillance? Our counter surveillance services is an excellent option for those based throughout Durham, the North East, Nationwide and Internationally. We will confirm if you have been placed under surveillance and provide you with the solutions so that you can get on with your life. Do you need to confirm if someone is or is not living in a property? Our Proof of Cohabitation Service will help build a picture for you and provide you with the answers to your questions. We often carry out cohabitation investigations where families have parted and one side believes that that the other has a new partner but is not being honest about it. This can have a huge impact on divorce settlements.